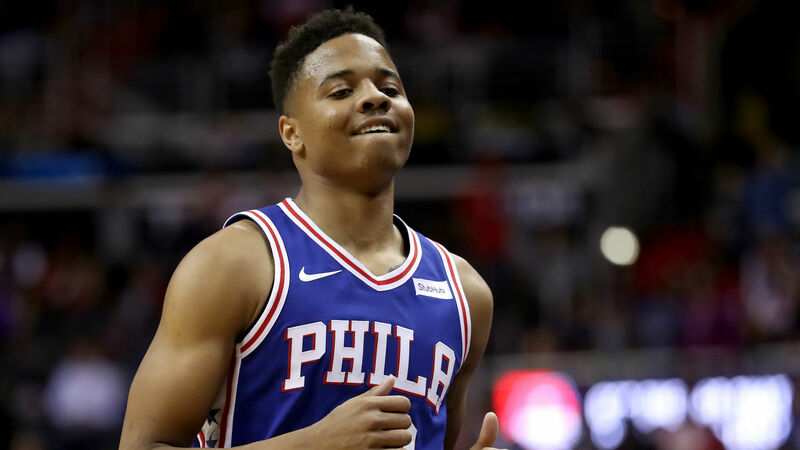 76ers guard Markelle Fultz is confident in his rebuilt jumper, but he’s denying the claims he had a case of the “yips” during his rookie season. During Friday’s media session, Fultz told reporters he didn’t think his trainer used the right word and took the opportunity to explain he was dealing with a shoulder injury that changed his shot. “I think it was a mis-term in words, but me and Drew have talked,” Fultz said, via NBC Sports. “What happened last year was an injury. Let me get that straight. It was an injury that happened that didn’t allow me to go through the certain paths that I needed to, to shoot the ball. [email protected] on the jump shot everyone is talking about. Fultz said he had a productive offseason working with Hanlen and is excited with where he is at heading into the 2018-19 season. Fultz, selected by Philadelphia with the No. 1 overall pick in the 2017 draft, averaged 7.1 points per game and attempted a single 3-pointer in just 14 regular-season appearances in 2018. He fell out of Philadelphia’s playoff rotation, totaling 23 minutes in three postseason games.